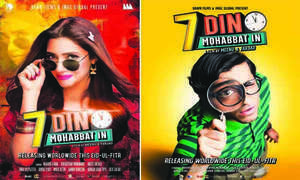 7 Din Mohabat In (7DMI), released in June by Dawn Films, is the quirky fairytale we did not know we needed. After an enthusiastic reception in local and foreign markets, we caught up with the CEO, Nazafreen Saigol, to see how things are shaping up. The film features Mahira Khan and Sheheryar Munawar, two actors who have graced our screens in many hits, be they films or TV dramas. Here we see them take romantic comedy in their stride as full-of-life Neeli and simple, yet well-intentioned, Tipu. “A powerful script... equal parts entertaining and compelling” and a star-studded cast and crew are some of the factors Saigol attributes to the success of the film. 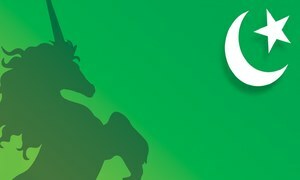 Other factors include the media sensitive marketing that was rolled out across Karachi, Lahore and Islamabad, as well as the BTL, ATL and digital used to create hype. 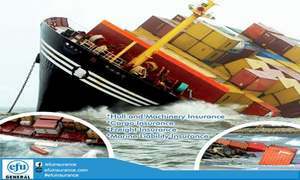 IMGC GLOBAL are the co-producers and Distribution Club, the nationwide distributors. The result of these combinations has seen 7DMI ranked as the highest grossing film of 2018 thus far, crossing the 100 million rupee mark. 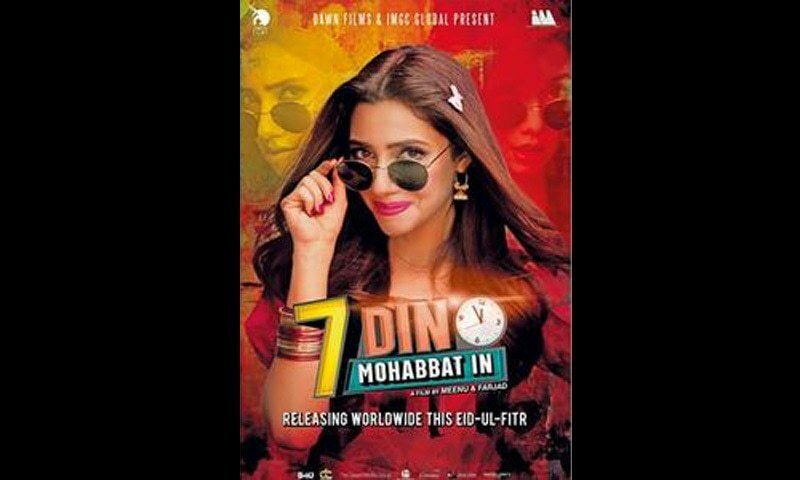 According to Saigol, although competing with “parallel Hollywood and Bollywood blockbuster releases, 7DMI held its own in screens across the Middle East, Australia, USA, Canada and Europe,” and the marketing strategy had a great hand to play in it. Using everything from on ground to digital, the marketing team built up palpable hype around the cast and storyline and continued to spark interest with surprise cast visits prior to and post release. “Print interviews, blogger meets and fun digital videos featuring the entire cast, ssupplemented the strategy.” Now, after this trail-blazing success, Saigol assures us that the search is on for another script to make the next success. In Saigol’s opinion, an established institution such as The Dawn Media Group diversifying into film is a logical next step in tuning in with the times. However, maintaining quality control and the standards The Dawn Group is used to, requires a high degree of attention to detail. As a result, a conscious decision was taken to keep all production in-house and work with a team of highly-skilled professionals with both film and drama backgrounds. According to Saigol, although Pakistan is exceptionally skilled in terms of editing, grading and visual effects (with Pakistani technicians often working on Hollywood productions), sound design capabilities are lacking and could definitely use some new talent. Saigol also addresses the thorn in the side of Pakistani films – the consistent criticism that they resemble dramas rather than actual films – philosophically. She agrees that the influence of dramas seeps into films because much of the same production talent works on both, but given that Pakistani cinema is in its infancy, such is to be expected. She is hopeful about the direction Pakistani cinema is heading in, with revenues expected to triple in the next few years. 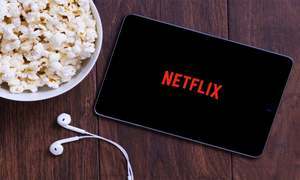 She adds that both the film industry and the audiences have evolved, “veering away from traditional advertising and responding (instead) to smart content integration”. A strong storyline is the keystone for a successful venture and no doubt, the next film will have to be of the same calibre to assert Dawn Films’ dominance over Pakistani cinema. Taking notes from Hollywood on creating films that serve as the ideal carriers for “intelligent and relevant brand integration.” Saigol is positive and excited about what the future holds.